As outlined in some of our other articles, seasoned firewood is much more efficient for burning and will provide you with a better heat output and efficiency from your stove. But, how do we when when the moisture level is at it’s best? 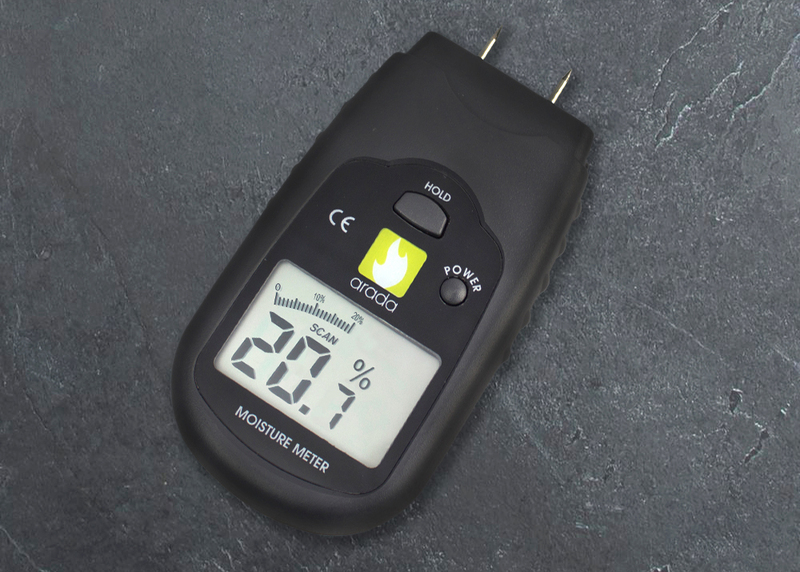 A digital moisture meter is the answer. Digital moisture meters read the moisture levels in the materials being measured (between the 2 diodes). There are a number of makes and models available on the market, with prices starting at about £20 for a basic version.